At Colemans, we endeavour to collect bad debts on behalf of our clients as cost effectively and commercially as possible. There is, quite simply, no benefit to you in “throwing good money after bad”. We adopt a tailored approach to each case. Most of the time this results in a negotiated settlement being agreed after the first communication from us to the debtor (known as a letter before action). That negotiated settlement could include time to pay or payment by instalments. In some circumstances, however, it is not possible to agree a negotiated settlement or perhaps your business operates in niche or small market and you feel the need to “send a message” to a debtor, even if the prospects of successfully recovering a debt are slim to none. In either scenario, we can help. Our debt recovery team are diligent in their pursuit of your money, but always take a commercial view to ensure that you get the best value for your money. At the end of the day, it is all about getting results. With effect from 6th December 2018 we are obliged by the Solicitors’ Regulation Authority to publish our fees for commercial debt recovery. Please note that this fee structure only applies to commercial debt recovery (where we act for a business that is owed money) up to the value of £100,000. Clients seeking to recover commercial debts exceeding £100,000 should telephone Kate Williams or Sheena Bradfield on 01628 631051 or email litigation@colemans.co.uk to discuss their requirements and to get a bespoke costs estimate. We do not offer fixed fees for commercial debt recovery because it is not a “one size fits all” situation. There is a significant difference, for example, between the work required to collect a debt in respect of one or two invoices totalling a value of £50,000 and the work required to collect a debt in respect of say 50 small invoices totalling a value of £50,000. To ensure that you pay the fairest price, therefore, we will give you a customised quote when you instruct us. The information provided below is intended as guidance as to the level of fees that you can expect to pay in a straightforward situation, such as the first scenario described above i.e. one or two invoices in respect of which a debt is due to your business. If your circumstances are different, or the matter is more complex for some reason, there will most likely be further charges in addition to those outlined below that you will have to pay. We will tell you about those further charges at the time. Please note that the costs estimates set out below are just that – estimates. These are NOT fixed fees and actual costs may exceed or fall below the figures quoted based on the circumstances of each case (including the value and complexity of the claim and the documents underlying the claim), which are indicative only. 11. What if the claim is defended? We estimate that our fees for the first stage of work on a new commercial debt recovery matter will be £320 plus VAT to £480 plus VAT based on it taking 2 to 3 hours of Sheena Bradfield’s time at her usual hourly charging rate of £160 plus VAT. Receiving the debtor’s response and reporting to you on that response. If, in the course of your business dealings, you supply goods and/or services to individuals or the public (rather than to other businesses) you are dealing with “consumers” and there are a different set of rules that you must follow when writing to them for the first time about the money that they owe you. We estimate that our fees for the first stage of work on a new commercial debt recovery matter where the debtor is a consumer will be £400 plus VAT to £640 plus VAT based on it taking 2.5 to 4 hours of Sheena Bradfield’s time at her usual hourly charging rate of £160 plus VAT. This work will include all of the above steps, but instead of drafting and sending a straightforward “letter before action” to the debtor we will send a letter of claim that complies with the required pre-action protocol. This must enclose a reply form and give the debtor at least 30 days to respond before you take any further action. If Stage 1 leads to negotiations and/or settlement, you will be given a further estimate of costs for that additional work to negotiate on your behalf, advise you on the reasonableness of proposed terms, agree such terms, collect payment on your behalf and account to you for such payment received. If the debtor does not respond positively (or at all) to the letter before action or letter of claim within the required timescale, you may wish to take the next step which is to issue a claim in the County Court to seek payment of the debt, plus interest and, if applicable, statutory compensation and costs. We estimate that our fees for the second stage of work on a new commercial debt recovery matter will be between £320 plus VAT and £800 plus VAT based on it taking 2 to 5 hours of Sheena Bradfield’s time at her usual hourly charging rate of £160 plus VAT. Receiving Notice of Issue from the Court, noting the deadline for the debtor to respond in our diary and reporting to you thereon. Proceedings are issued in the County Court only. *where the issue fee is calculated as a percentage of the value of the claim including interest, this is to be rounded down to the nearest penny. For example, if your claim is for £886 including interest, the fee payable to the Court on issuing the claim is £70. If your claim is for £22,548 including interest, the fee payable to the Court on issuing the claim is £1,127.40. This court issue fee will need to be paid by you to us on account before we submit the Claim Form and Particulars of Claim to Court on your behalf. We will usually make the payment of the issue fee to the Court by cheque or direct payment via our online account with the Court service. The court issue fee is payable by you in addition to any fees that you have to pay us for preparing the Claim Form and Particulars of Claim. If your claim is for a specified amount (i.e. it does not include a claim for costs in an amount that is not specified on the Claim Form) once the claim has been issued the Defendant has to respond to it by filing an Acknowledgement of Service, or a Defence, within a strict timeframe. If the Defendant does not do so, you are entitled to apply for a Judgment in Default, which means that you “win” automatically or “by default”. We estimate that our fees for the third stage of work (if applicable) will be between £80 plus VAT and £160 plus VAT based on it taking 0.5 to 1 hours of Sheena Bradfield’s time at her usual hourly charging rate of £160 plus VAT. Reporting to you once the Judgment in Default is received. There will be no claim for costs in an amount to be assessed. Stage 3 – the deadline for a Defendant to respond is 14 days after the deemed date of service of the issued claim on the Defendant. We will typically submit the Request for Default Judgment within 1 working day of expiry of that 14 day deadline. To receive the Judgment, again, we are at the mercy of the Court and any administrative backlogs that may be in place. We will be able to give you some indication of turnaround times at the time based on our recent experience. If you instruct Colemans on a debt recovery matter, you will most likely be instructing Sheena Bradfield. Sheena deals with most of the firm’s debt recovery work because she is very good at it! Sheena has worked in legal services for over 20 years and in the last 5 years has focused on fee earning work as a Paralegal, dealing with the firm’s own debt recovery and building up a caseload of commercial debt recovery for a number of local businesses. During that time Sheena has worked on at least 150 commercial debt recovery cases for clients and can boast a very impressive success rate of about 98% in terms of either securing a full recovery for clients (plus interest) or negotiating a settlement that the client was happy to accept. Sheena is not a qualified solicitor, but she is very experienced in debt recovery and is technically adept at all aspects of the process. The real secret of her success, however, lies in her tenacious and pragmatic approach to recovering her clients’ money and her competitive spirit; that is what really drives her to get results. To find out more about Sheena click here. 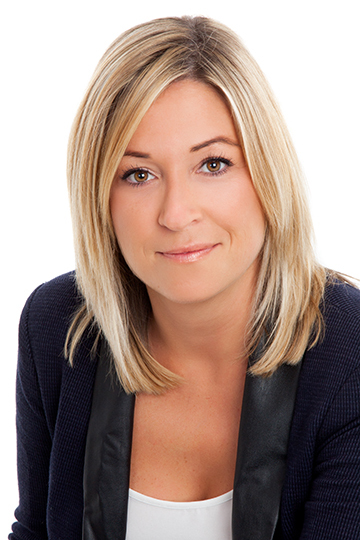 Kate Williams is the Head of Litigation and Managing Partner. Kate, therefore, supervises all work done in the Litigation Department, including debt recovery. 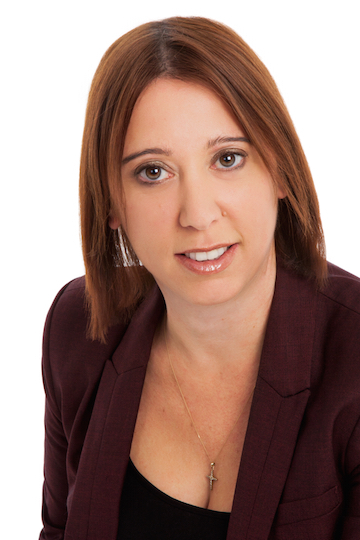 Kate qualified as a solicitor in 2009 and since then has specialised in civil litigation work. To find out more about Kate click here. What if the claim is defended? This list of stages of work involved in debt recovery is by no means exhaustive; indeed it omits a rather obvious chunk of work in terms of “what happens if the Defendant does file an Acknowledgement of Service and Defence and the proceedings become contested”? In those circumstances the range of costs is vast and depends on, amongst other things, the circumstances of your claim including the value and complexity of the matter. You will therefore need to contact us to get a bespoke costs estimate (which will include a summary of the other expenses you will incur such as other court fees payable at various stages of the process). You will most likely also have to pay other professional fees if the claim is defended, such as a barrister’s fee for attending the trial. An estimate of those fees will be obtained in each case as soon as practically possible and you will be asked to provide funds on account of a barrister’s fees before we can instruct that barrister to represent you at Court. The above information also does not cover the costs of enforcement proceedings, which is really what it is all about – getting paid. If enforcement of a County Court Judgment is required we will provide you with tailored advice on the range of options available to you, the likely costs of each option and advice on the suitability of each option in all the circumstances. If at any time after you have instructed this firm to issue proceedings in the County Court on your behalf, you decide that you no longer want to continue instructing us in relation to your debt recover matter, you can terminate this firm’s retainer. At that stage, Colemans will be on the Court record as acting for you and we will have to be removed from the Court record once you have decided you no longer want us to act for you. If we are not removed from the Court record then all communications from the Court will be sent to us (and not to you) and we will have a duty, as officers of the Court, to attend any hearings that are listed before a Judge. We will not have a choice and receiving communications on your behalf and attending Court on your behalf, even after you have terminated our retainer, will incur costs that you will be expected to pay. To avoid this happening, you will need to complete a Notice of Change form. You can download that form by clicking here. Once you have filled out the form you must file it at Court and send copies of it to us and to the Defendant or their solicitor, if they have one. Only when you have done all of this will this firm be removed from the Court record as acting for you. If you prefer, we can complete the form for you and once you return it to us signed, we can file and serve it on your behalf. Our fee for doing so is fixed at £120 plus VAT. For more information about our litigation services visit our Civil Litigation page.